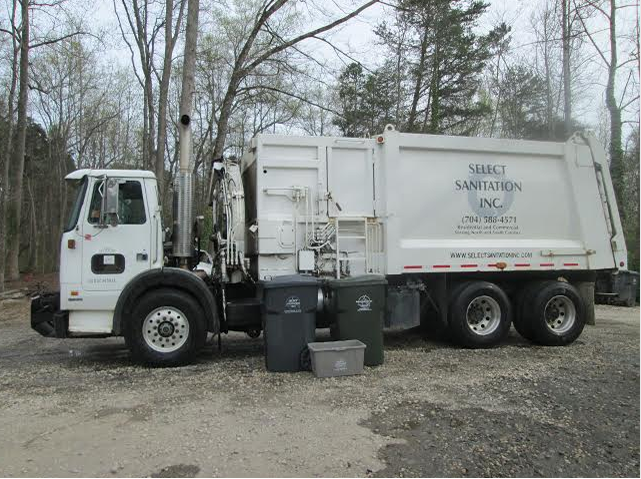 Select Sanitation Inc. | Select Us For All Your Sanitation & Recycling Needs! Recycle Right: Please make sure everything in the recycle container is recyclable, see recycling page for a list. Nothing in recycle bin should be bagged, everything in trash can should be bagged. Please do not put trash can and recycle containers up against each other; trash can goes on opposite side of driveway from mailbox, recycle container on the same side as mailbox but at least 3-4 ft. from any obstructions. Thank you! Select Us For All Your Sanitation & Recycling Needs! Select Sanitation Inc., is an Independently Owned and fully automated Trash and Recycling Service for Residential and Commercial Businesses in Charlotte, North Carolina and the surrounding South Carolina Communities of Lake Wylie, Clover, York, Indian Land and Fort Mill.